Everyone at the office needs lunch (or in some cases dinner) — but for salespeople trying to entice a potential lead or convince an architect to pick up their project, they might need to use a free meal as a bit of a lure to get them in the room to make that pitch. It was a problem that Stefania Mallett, CEO of ezCater, and co-founder Briscoe Rodgers ran into plenty of times — and decided to turn it into a full company. ezCater gives all those sales people, or financial advisors, or anything along those lines a way to quickly set up a catered meal and have an expectation that it’ll work without any kinds of bottlenecks all across the country. The company said it has raised a new round of funding led by Wellington Management Company, with existing investors ICONIQ capital and Insight Venture Partners also participating among others. This round brings ezCater’s total funding to around $170 million, at a valuation of $700 million, according to a source familiar with the matter. Like the rest of the companies trying to woo offices looking for catered meals, ezCater looks to collect as much data as it can. That could be an analog situation, like one in its own office where employees tried to find the best setup to remove as many bottlenecks as possible for lunch on a Thursday — even timing the process with stopwatches. As more information comes in, like reviews or critiques of the whole process, ezCater can turn around and use that to adapt to any changing environments or office cultures and figure out how to provide the best experience. Mallett says the company has more than 60,000 restaurants signed up to the service, and the hope with this new round of funding is to continue to expand that — especially as the company eyes growth abroad. 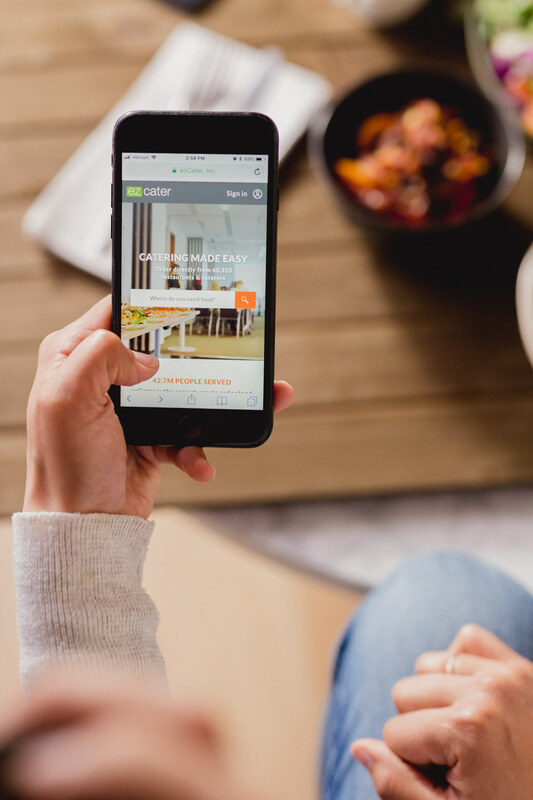 While they’re able to sign on plenty of chains, ezCater also has to hit the ground to find high quality local restaurants and make sure they do a quality check on them before they end up on the catering platform. That certainly requires a lot of manpower, and Mallett said more than half of the company is centered around customer service. That, too, is still a pretty analog process even as the company looks to put out more of its tools and automate all these processes. Still, there’s plenty of activity when it comes to catering. Startups like ZeroCater are raising money to expand beyond just daily lunch orders and own other parts of the office dining experience, like providing snacks. Delivery apps like DoorDash too might see the opportunity for catering as a significant business model. But Mallett’s argument is that those organizations are either still pretty local, or they won’t have the kind of restaurant overlap that ezCater has as they look to capture business from larger clients that need to put together a quick meal for the office. ezCater, too, offers options for daily lunches or other meals with a white glove service.